With only 8 seconds to convince your website visitors to stay and look around, it is essential that your website is designed for success. Each new website starts with discovery. 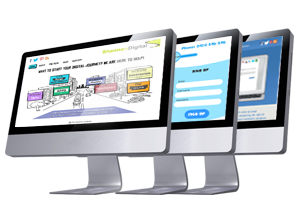 Only once we’ve researched your business and your goals, can we effectively start designing your website. Today, the desktop computer is only one of many devices that will display your website. We make sure it looks amazing on all of them. Our team of expert designers listen to your feedback and revise until you are satisfied with the results.